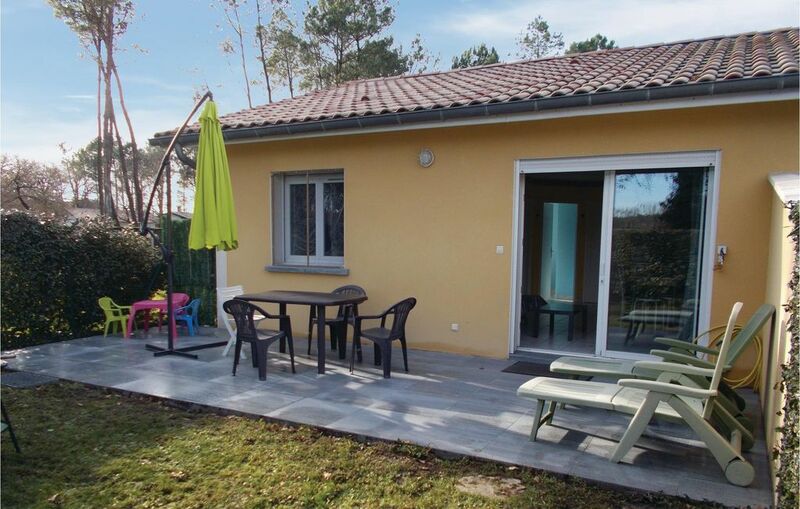 This little house is charming and neat and is located in the Landes, a South West region where nature is still preserved and which offers many possibilities of activities in stunning landscapes. This region is also renowned for its gastronomy and you will surely not miss to taste one of the specialties. The house has a garden with a terrace and a barbecue, ideal for moments of relaxation. Only 6 minutes away, you will discover a beautiful lake where you can swim in calm water. If you prefer sea air and the waves of the Atlantic (and its many surf spot)s, the vast sandy beaches are 15 minutes away. Do not miss Dax, a lovely city renowned as the first spa resort in France, which is 28 km. In the neighborhoods: golf, cycling, fishing, hiking, aquatic center, tree climbing. The second house, (FAL058) separated by a hedge, also welcomes vacationers and can be rented at the same time to welcome larger groups. The owners live in an annex at the back. Parking spaces in the property. Tres belle location,avec tout l'equipement necessaire,propre a l'arrivée et tres bien entretenue,tres facile a trouver,et bien située dans un endroit calme.